In the wake of the Late Show debut and release of first single “Gardenia” and the Post Pop Depressionpre-order going live, a second advance track “Break Into Your Heart” has been premiered. Both tracks will be delivered instantly with pre-order from iTunes or on vinyl. 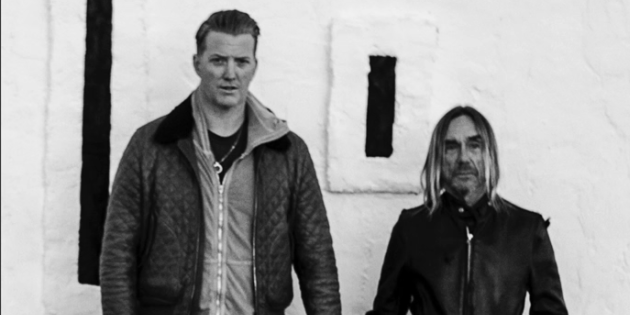 Iggy and the band’s web exclusive performance of “Break Into Your Heart” previously witnessed only by the Late Show studio audience has also been unveiled. Post Pop Depression is equal parts a dream come true for co-creator Homme as it is a record that defiantly takes its place in Iggy’s storied discography alongside the twin towers of The Idiot and Lust For Life–two records and the mythic Berlin era of their creation canonized as much lyrically (“German Days”) as sonically (“Sunday”) on this new record. The album is a singular work that bears its creators’ undeniable sonic DNA while sounding like nothing they’ve done before. It’s a record that wouldn’t exist without either Pop or Homme–and one that probably shouldn’t in theory if you really think about it–but it does, and we and rock ‘n’ roll are all the better for it.